I think this is where Stiefvater and I go our separate ways. I never intended to read Shiver. In fact, I was more than a little convinced it wasn't the book for me, but after loving Stiefvater'sScorpio Races and enjoying The Raven Boys more than just a little, I knew I had to give this one a shot. Surprisingly enough, I found myself admitting that Shiver is a book I could have loved. It is. I loved the idea, the concept, the characters, and how, at the core of this story, was a literal battle for humanity. Yet, what prevented me from finishing this book (even though I was at the 63% mark) and from even liking this novel was, quite unfortunately, the pacing. I feel as if Stiefvater's book always receive complaints about pacing. "It's too slow." "I was bored." "I can't wait for the plot to pick up." Ironically though, my problem was that the pacing was simply too fast. You see, Shiver opens up by telling us the brief history of Sam and Grace, a werewolf and a normal human girl. When Grace was young, she was dragged into the woods by a pack of wolves and saved by Sam. Thus, ever since then, Grace has been more than a little obsessed with what she calls "her" wolf. What Grace doesn't know though, is that Sam is a werewolf and he's been watching her all these years too, steadily dreading the day when he will no longer be able to shift back into a human. It is only when a teenage boy is reported to be killed by the wolves that Grace uncovers Sam's secret and from there on out, it's a deadly race to see if their love can withstand time as Sam's days as a human only begin to dwindle. Now, here is where my problem with Shiver begins to creep up. When Grace sees Sam on her front porch, hurt, she takes him to the hospital, waits for him to heal, takes him back to her house, and then they make out in the kitchen. While I have no problem with a novel focused on romance, I did have a problem with the complete and utter rush that their love story became. While Grace and Sam have known each other for years, Grace has been in love with a wolf, not a human boy. Thus, I wanted her to have some type of a logical reaction to Sam. I wanted her to gradually develop a friendship with Sam the human and then fall in love with him. Whatever anyone may say, a wolf and a human are two very different creatures. Sam's role in this romance is believable, but Grace's part? Not so much. Consequently, I couldn't summon up even an iota of emotion for these two although their scenes were cute and should have made me "aww!" on more than one occasion. What I did love, however, was Stiefvater's unique take on werewolf lore. In her world, werewolves shift not during the full moon, but when the temperature falls, forcing their bodies to change. I feel as if what Stiefvater did with this concept, her portrayal of Sam's constant struggle to retain his human self and not turn into a wolf, was simply superb. I doubt any other author could have handled that situation as beautifully as Stiefvater did and I have to give her props for that. 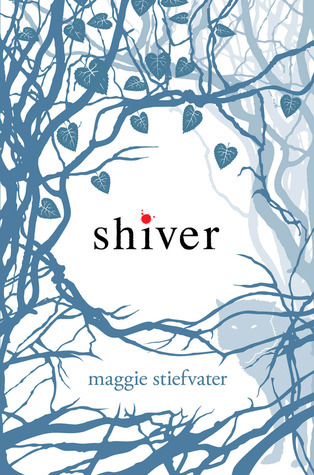 Shiver contains Stiefvater's lyrical prose and quite honestly, her writing and Sam were the only two things that really kept me moving past the half-way mark of this book. Well, that and the plot which was gripping, unique, and really very interesting I have to admit. While my lack of emotion for Grace and Sam's romance was my primary fault with this novel, I was also disappointed by some of the dual narration in this book. In some areas, Sam and Grace's narrations sounded the same to me and the clear, distinct voices that belonged to them were lost. Furthermore, I was never able to paint a clear picture of Grace from her narration. When we see Grace from Sam's perspective, we see her for the girl she really is - smart, spunky, and fiercely independent, all while having been neglected by her parents and thus seeking comfort from her one savior, the wolf. Through Sam's eyes, Grace's strange beastial affection for "her" wolf doesn't seem so strange, but I did still wish fiercely that Stiefvater would have allowed Grace and Sam to fall in love and distinguished them from Grace and the wolf. With their love story coming to an abrupt completion less than a quarter through the novel, I know it could have been expanded further without taking away from the rest of this story. Nevertheless, Shiver is a novel I can't really pass judgement on. It didn't work for me, simply because I wanted more from the romance and that's my personal qualm. I, unlike most readers I suspect, am not a romance fan, and as such, I need a little more substance to my love stories. If it hadn't been for the rapid romance in this novel, I know I would have probably wound up giving it 3.5 or even 4 Stars. I really do like Shiver, but without much emotion, I couldn't bring myself to care or possibly continue with the story. Thus, I'd say to give Shiver a try. While many other reviewers have mentioned the implausibilities in this relationship, not to mention the convenience of Grace's absentee parents, I truly think these are small qualms to have with a novel that simply bursts with creativity. I envy the readers who have been able to fall in love with this novel but after all, it takes all sorts to make this world, doesn't it? Oh, no! And I was just thinking the other day that I absolutely MUST remember to recommend Lament to you, and now I'm not at all sure you'd enjoy it. I mean, it's atmospheric, eerie and beautifully written, like all Maggie's books, but Deirdre does fall in love with Luke rather abruptly. I think Maggie writes these romances because she claims that she knew she'd marry her husband pretty much the second she met him (she was very young). But I too appreciate Scopio and The Raven Boys more because the romance develops very slowly, if at all. Anyway, I love that you were so honest about this and that you bothered to write such a wonderful, thoughtful, but most of all respectful review even though you didn't like or finish the book. Btw, have you read The Curiosities? I haven't yet, just wondering if you had. I adore how specific even your DNF reviews are, Keertana. :) I have not read Shiver, and now after reading your review I don't think I will. A lot of your issues are also things that I take fault with in books. I am also not a fan of most YA romances. I need substance and believability and development in romances, just as I do with the characters themselves. And dual POVs is usually a big pet peeve of mine, because so many times I find myself unable to distinguish them. I am sorry that this book did not work out for you, although it's good that you've read other books by Stiefvater and can still appreciate her other works. I haven't read Shiver yet, but I did recently purchase it from Half Price Books. Your review was extremely thoughtful and while I am a little hesitant now, my curiosity is also piqued because I want to know how I'll feel when I read it. I haven't read a single Maggie book yet (*gasp*) so this will probably be the first. Sorry - that anonymous comment is from me. I selected name/URL and it didn't pop up to let me type it in. So sorry! Too bad you couldn't get with it. Its been a long time since I read this. But I liked it. It was Linger I had trouble with and I haven't read Forever yet. My favorite books by her so far are actually her faerie ones. Lament pretty much blew my mind. Of course that was years ago and my taste has changed but I really loved them. Awwww, I completely understand the reasons why you didn't quite enjoyed this book, Keertana! While I loved Shiver, I think The Scorpio Races, Lament and The Raven Boys are my favourite books out of Maggie's works. I do agree that Maggie's take on werewolves lore is unique and interesting. Sam was such a loveable character. I think I connected more to him than Grace actually! Very interesting review Keertana! I think it's particularly interesting that you would've given this one 3.5 or 4 stars, if only it hadn't been for the romance. I'm not going to lie, I didn't really like the romance at all in these books. What really kept me going was the werewolf aspect of it! Like you said, it was incredibly unique, and I found myself enjoying it a lot. It's a shame Shiver wasn't for you but I do understand your issue with the insta-love on Grace's part. I read this series a couple of years ago and remember really liking it, their love was sweet. And I agree, Maggie's take on werewolves was great! I thought the relationship moved fast, but I found the actual novel pacing to be slow for my liking. Maybe it's Stiefvater's style? I'm not sure... And she has the flowery, emotional language that I found Sam had that I didn't like. Still, like you clearer distinction between the character voices and slower romance would have worked. Again, the werewolf lore was freaking amazing. I really thought this novel could finally be the werewolf novel I'd been waiting for and whilst I finished it, I think like you it lacked something that sparked it off. Shame you didn't finish this or enjoy it as much as some, but I have to agree with lots of things you said. Brilliant review, Keertana! Maja, I'm going to try out Lament, no matter what. ESPECIALLY since you were thinking of me! Aaahh! *fangirls* Seriously though, I think it's adorable that Maggie had a practically insta-love situation with her husband, so perhaps that'll help me to understand the romance in Lament a bit better. Thanks Hilda! I really did love the romance, if only it had had more development. I guess not everything is for everyone though, but I agree with the fairy-tale aspect of this one - it was beautifully written. Thanks Amanda! :) I try to make them even more detailed sometimes since it's important to explain why I didn't enjoy a book, so I'm glad it was helpful! Dual POVs are usually a hit-or-miss with me and, like you, I neeeed development. I'm hoping you enjoy some of Stiefvater's other books though - they're incredible! Coffee Monster, I'd still recommend this one, so I hope you have better luck with it than I did! Leanne, I read your review of this one and I couldn't agree more. I hope you decide to pick up TRB or TSR because they are SO good. If you do choose to read them, I'll be keeping my fingers and toes crossed for you to love them! I'm glad to hear you enjoyed these books, Candace! I definitely want to give Lament a try, so perhaps that trilogy will work out for me better. Thanks Aneeqah! (: I really did enjoy the concept of this one, like you mentioned, so perhaps I'll have better luck with another one of Stiefvater's series! I'm so glad you enjoyed this one, Mandee! I agree that their romance was very sweet and Maggie's take on werewolves was SO original, which I loved. She has some of the BEST ideas! Overall, a terrific, wonderful and beautiful novel. I will definitely be picking up the other ones, although I love how this one ends.